Rose & Shrub Feed for the growth of healthy rose bushes and shrubs. Horticare Rose & Shrub feed is specially formulated containing vital ingredients to promote beautiful blooms and vibrant healthy plants. 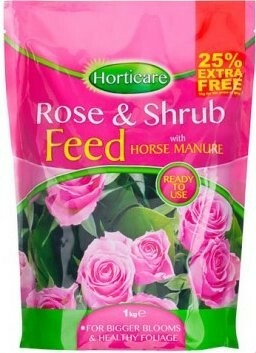 With added horse manure to enrich the soil promoting roses to flourish.